We are among the pioneers in the industry, making available a diverse range of Round Bars for our treasured customers. This range of products is customized to meet the exact requirements of the customers. We procure optimum quality materials for manufacturing these bars. 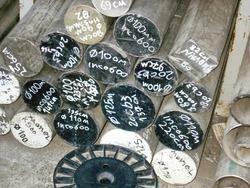 This range includes Aluminum Round Bars, Copper-Nickel Round Bars and Alloy Steel Round Bars. 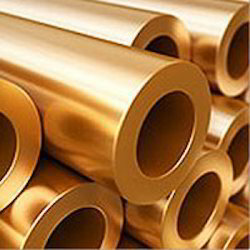 Ranflex metal is the leading supplier and exporter of Bronze Hollow Bar which are made from high quality raw materials . 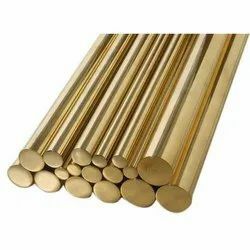 Ranflex metal is the leading supplier and exporter of Bronze Round Bar which are made from high quality raw materials . Since 2003, we, Ranflex Metals, an ISO 9001: 2008 certified company, have been engaged in manufacturing, supplying and exporting of an exclusive range of Industrial Pipes and Allied Fittings. We engineered these products with premier-grade stainless steel, carbon steel, nickel & copper alloy, mild steel and other raw material. Required raw material is collected from the reputed vendors after properly testing its quality. Offered product are designed keeping in mind the exact requirement of various industries incorporating latest technologies. Therefore, our products are highly suitable for industrial applications and acclaimed for their excellent finish, high strength, customized design, perfect fitting, optimum resistance to corrosion, abrasion and rust. Our product range includes Industrial Valves, Monel Products, Industrial Pipes, Forged Pipe Fittings, Seamless Pipe Fittings, Industrial Sheets, Alloy Rods & Bars, Industrial Fasteners, Industrial Gaskets, Hastelloy Fittings, Hastelloy Flanges, Hex Bar, Stainless Steel Products, Seamless Pipes, Steel Components, PTFE Fasteners, Industrial Bolts, Round Bars, Nickel Coils, Industrial Screws, Alloy Steel Pipes & Tubes, Carbon & Alloy Steel Plates, Steel Sheets, Hex Nuts, Pipe & Pipe Fittings, Steel Pipes & Tubes, Carbon Steel Pipes & Tubes, Industrial Nuts, ERW Pipes & Tubes, Carbon Steel Flanges, etc. 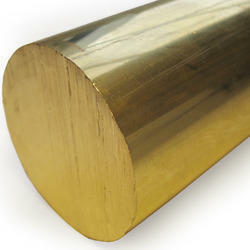 Ranflex metal is the leading supplier and exporter of Brass Holllow Bar which are made from high quality raw materials . 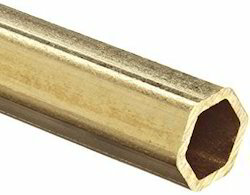 Ranflex metal is the leading supplier and exporter of Brass Hex Bar which are made from high quality raw materials . Backed by our vast industrial expertise, we make available Nickel Round Bar to our treasured customers. 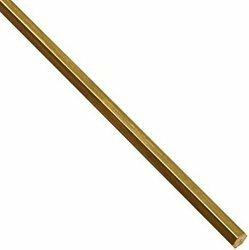 These bars are known for their excellent resistance to alkalis and chemicals and are excellent conductors of electricity. Commonly utilized in food processing equipment, caustic handling equipment and marine applications, these bars are highly demanded in the market. Customers can avail these bars at market leading prices. 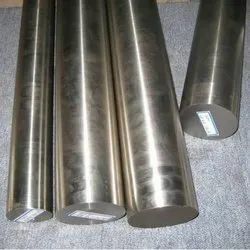 We are considered as the reputed manufacturer, supplier and exporter of an exquisite series of INCONEL ROUND BARS.